FY St. Charles Readies for April 27 Grand Opening! If it weren’t for a visit to see his twin daughters at the University of Colorado, David Brown might not be on the verge of opening a self-serve frozen yogurt shop in downtown St. Charles. 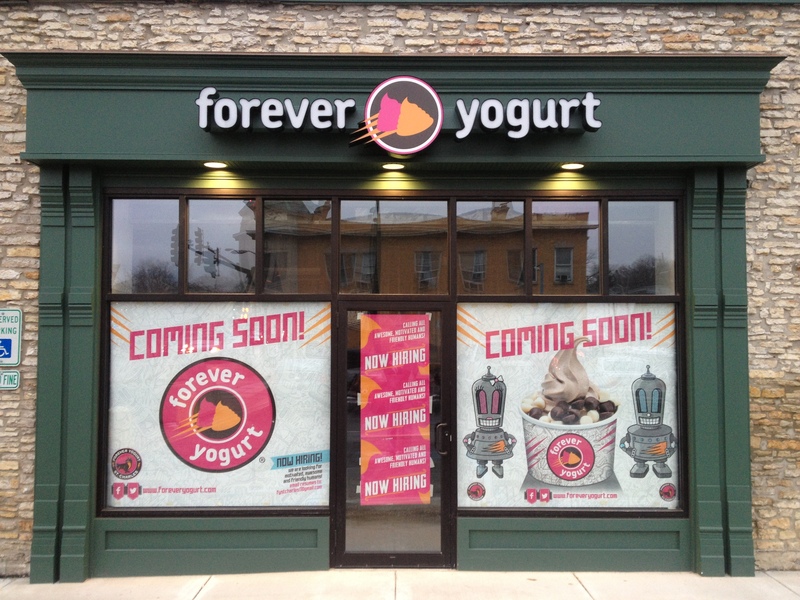 Forever Yogurt comes to St. Charles! An interesting little ditty came back to mind the other day, one I used to often repeat as a kid: “You scream, I scream, we all scream for ice cream!” No clue where it came from; not sure why, really. I do know that my whole family loved ice cream — especially my father — and, as a kid, we used to make a trip every Sunday to an ice cream parlor for our weekly treat. By the way, I still love ice cream and eat a portion at almost every opportunity I get. Perhaps though, the memory was invoked just prior to a conversation I had recently with the owner of a new business venture in St. Charles. It will be an iteration of “Forever Yogurt” (frozen yogurt) and will take up residence on the southeast corner of Main Street (Route 64) and South Second Street (Route 31) in Saint Charles.